For data visualization practitioners, that means looking at inspiring graphics and reading about the creative processes behind them. In other words—spending a lot of time on Twitter and data viz blogs. 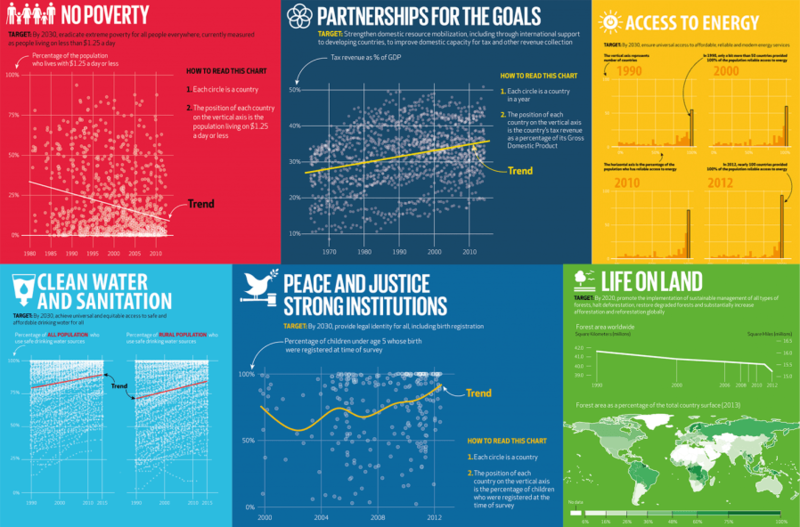 Here's a list of data visualization leaders who contribute to the community on a daily basis. Alberto Cairo is the Knight Chair in Visual Journalism at the University of Miami's School of Communication and has written two books on data visualization: The Functional Art and The Truthful Art. He shares his favorite books, articles, and own thoughts regularly on his blog. It's a must-subscribe for anyone looking to surround themselves with data viz thought leadership. Six questions with...: Kirk interviews data visualization professionals such as Kim Rees of Periscopic, Alyson Hurt of NPR, and Alan Smith of the Financial Times. 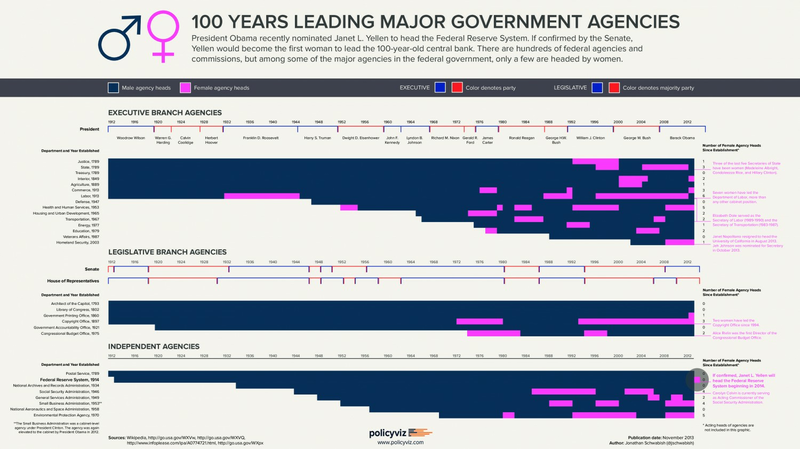 Best visualisations of the web: A monthly digest of best visualizations the net has to offer. Consider also checking out Kirk's new book, Data Visualisation: A Handbook for Data Driven Design. 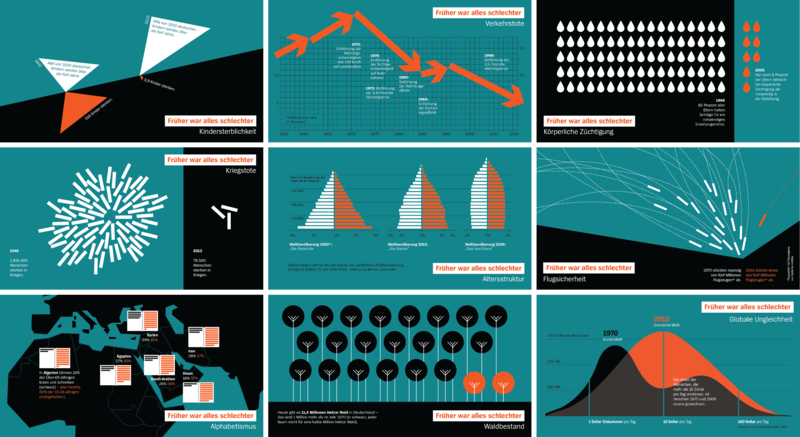 Robert Kosara has been blogging about data visualization for over a decade. He regularly writes about the psychology of data visualization—such as how rainbow-colored maps are misleading and how humans read pie charts—and comments on trends in the field. Kosara has also written several research papers as a Senior Research Scientist at Tableau and a former associate professor. For those who want the TL;DR version, he usually summarizes his findings in an accessible, easy-to-read post. The Shapes of My Thoughts: Lupi shares her personal sketching process and how she uses drawing as a design tool. 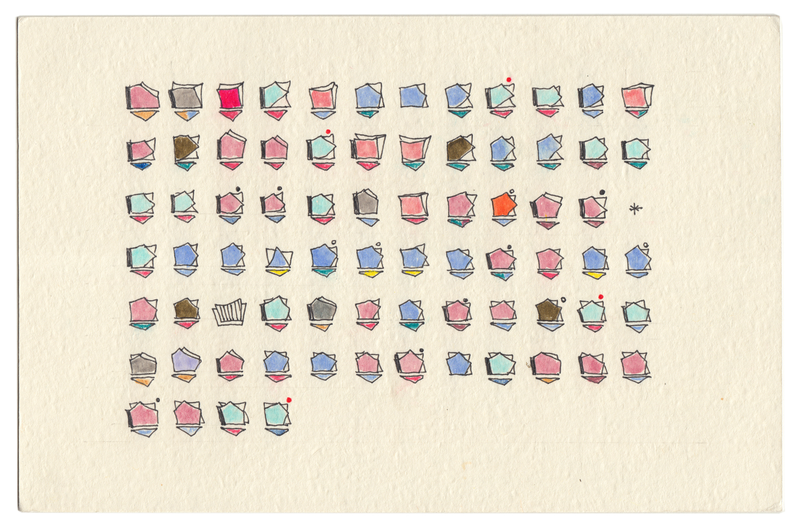 Dear Data: A year's worth of personal data, sketched on postcards, sent between Lupi and designer Stefanie Posavec as a way to get to know each other better. Data journalist and information designer David McCandless's Twitter is a steady stream of graphics from around the web. 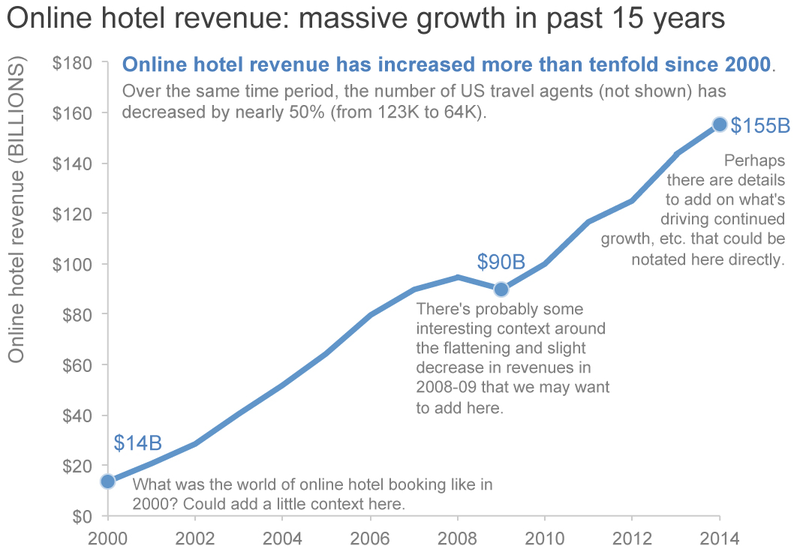 His site, which boasts tons of interactive charts, and his books are worth checking out as well. Cole Nussbaumer is the author of Storytelling with Data, a book about turning data into high-impact visual stories. She has a clean, simple style and excels at including helpful annotations without overburdening the graphic. She developed and taught a data visualization class at Google and now offers workshops for companies and the public. Her Twitter feed is full of thoughtful commentary on real-life data visualizations. Randy Olson has done extensive work in data visualization and machine learning using Python. He comes out with an original chart on his blog a couple of times a month. And since he's the community leader of the subreddit Data is Beautiful, it shouldn't be surprising that he tweets fascinating visualizations multiple times a day. Your Friendly Guide to Colors in Data Visualisation: A quick overview of why color is important and how to choose the right palette for your visualizations. 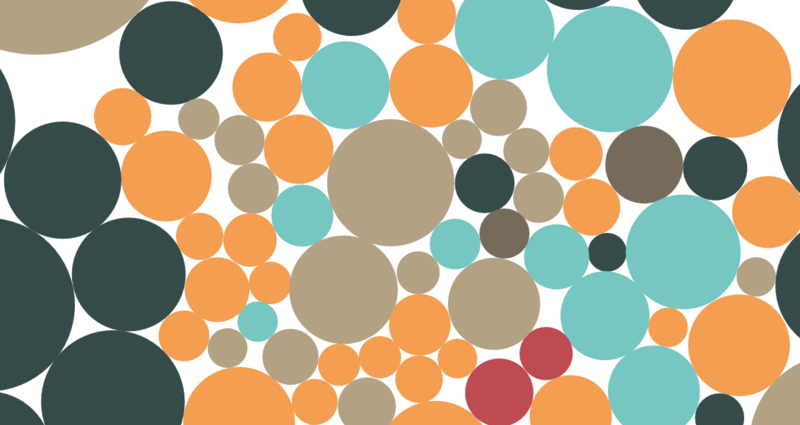 One Chart, Twelve Charting Libraries + One Chart, Twelve Charting Tools: Rost makes the same bubble chart with 24 different visualization tools (including some Python data visualization libraries). Like Andy Kirk, Jon Schwabish maintains an excellent site of resources for newbies and professionals alike. One section of note is Remakes, where Schwabish takes an existing chart and offers critique by making a new version. But Schwabish might be known best for The PolicyViz Podcast, a series of interviews with practitioners in the field. Nathan Yau does a particularly good job of making public data feel personal and relatable. He usually publishes a new graphic each week, and the topics run the gamut from Americans' eating habits to the ways you're likely to die. 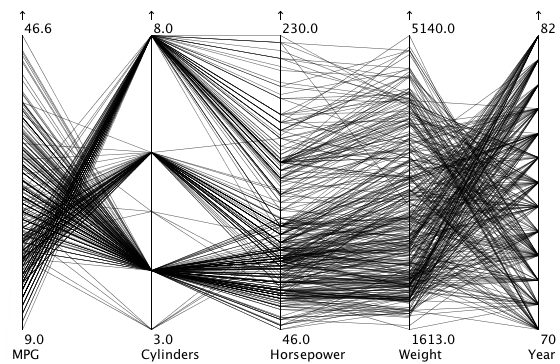 His original visualizations, as well as others he hand-picks from around the web, live on his FlowingData site. Plus, he offers an extensive series of tutorials on visualizing data in R.
We've included all these experts in one Twitter list. Subscribe here.